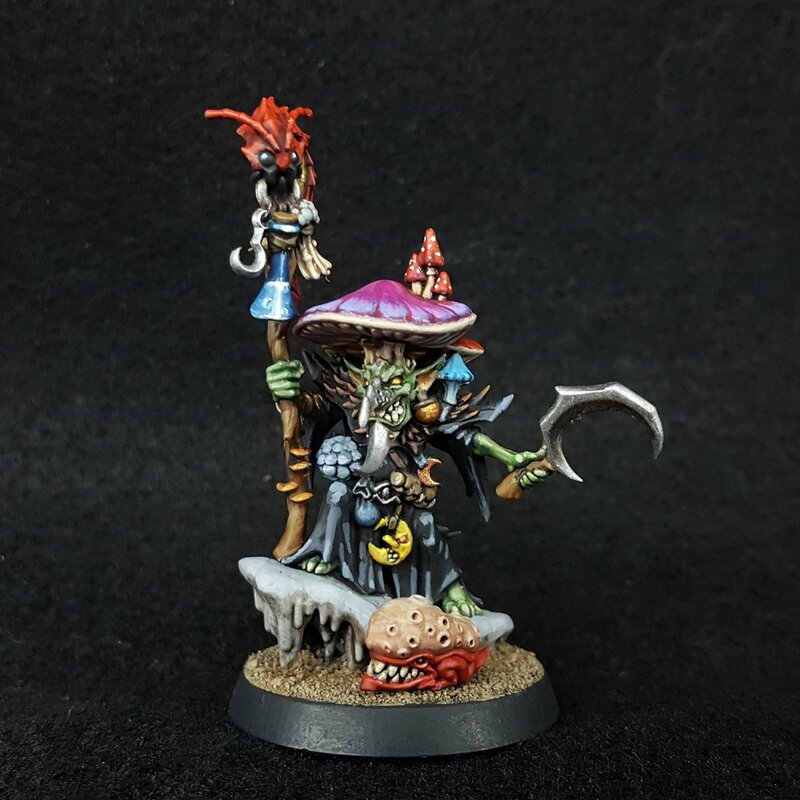 Through live shows on Twitch.tv and tutorials on YouTube, I love teachings others how to paint their miniatures well, and take pride in their work. I'm on a mission to rid the world of unpainted miniatures. You can support my tutorials on Patreon. If you need a highly-detailed General to lead your army into battle or want your D&D character brought to life, you've come to the right place. I offer painting services for single miniatures, small squads and larger projects. Using both traditional materials and digital sculpting, I've brought several miniatures to life for myself, my customers and game publishers. I primarily specialize in robots and non-human characters like this angry mushroom, one of my current projects. I want to help you enjoy this hobby! Painting miniatures is a joy for me, something I do to relax and unwind - at times it feels more like meditation than work! However, I know that painting minis can be a daunting task, especially if you're new to the hobby. Don't worry though, I'm here to help! With my twice-weekly live shows on Twitch, I focus on my assorted projects while participating in viewer Q&A and doing on-demand demonstrations and painting experiments. My Twitch shows are a great place to get feedback and advice on what you're working on, and chat with other hobbyists all over the world! With my YouTube videos, I try to break down the process of painting good-looking miniatures into smaller bite-sized tasks to help you get the results you want. Let me tackle the hard stuff. While I truly love to help people paint their own armies, I also realize that there's times when you might want something done that's beyond your reach. Maybe it's a special character that you really want to stand out among your forces, or a favourite Pathfinder character that you want brought to life. Whatever the case may be, I hope you'll reach out to me for a free quote for your detailed painting needs! I design miniatures that you'll WANT to paint. There's been a trend in recent years, where the amount of fiddly detail on many mainstream miniatures has been cranked up to 11. While this makes for gorgeous minis, it also slows down painting time and can make the painting experience even more daunting for newcomers. When I design a miniature, I do it with my years of painting experience in mind; I continually ask myself if I'll actually enjoy painting it, or if it will just seem tedious. Usually, I also ask myself something more important: what can a new painter learn or practice with this miniature? I like to use simple geometric shapes so my creations feel familiar, and add minimal superfluous detail, so that they feel like a blank canvas. While I can't always design with these constraints, the fun of the painting experience is always in the forefront of my mind.